A range of common arguments for the drug war, and our responses to them. Articles by our members on a variety of aspects of drug policy. “The Chemists are Winning”: The Rise of Mephedrone and Legal Highs – a feature by Sarah McCulloch recounting the events leading up to the banning of mephedrone in April 2010. October 2010. Has the World Gone Drug-free? – A feature article by Sarah McCulloch looking at the global drug trade. April 2009. Work by other people that anyone interested in effective drug policy might find useful to read. Drug Decriminalization in Portugal: Lessons for Creating Fair and Successful Drug Policies. (2009) (Cato Institute): In 2001, Portugal decriminalised all personal drug possession and use. Crime dropped, use dropped, and drug-related health problems went through the floor. Glen Greenwold of the Cato Institute reviews the policy and the effect it has had on Portuguese society. Thinking Seriously About Alternatives to Drug Prohibition. (1992) (Daedelus): Ethan Nadelmann of the Drug Policy Alliance analyses how current prohibitionist policies in America have failed, and what different approaches, broadly labelled “legalisation” are possible. He goes on to consider how the best aspects of prohibitionist and libertarian approaches to drug policy can be combined, resulting in an example “mail order model” approach to control and regulated production and supply. Transform Drug Policy Foundation is a charity with a vision of a world in which the War on Drugs is over and effective and humane systems of drug regulation have been established. 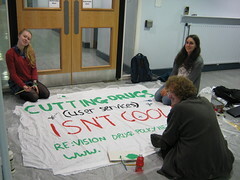 Transform also keeps a regularly updated blog on drug policy reform. The Beckley Foundation is a charitable trust that promotes the investigation of consciousness and its modulation from a multidisciplinary perspective. Erowid.org also called The Vaults of Erowid, is an online library of information about psychoactive plants and chemicals and other topics on altered states of consciousness such as meditation and lucid dreaming. It provides information about legal and illegal substances, including their desired and adverse effects. The site is organized by substance, ranging from common substances like alcohol, to unusual ones such as Bromo-DragonFLY. Youthrise (Resource. Information. Support. Education) is an international, youth-led network of young people committed to confronting the reality that young people today live in a world where drugs are more accessible on the street than the education and resources needed to reduce their harm. The International Drug Policy Consortium are a global network of NGOs and professional networks that come together to promote objective and open debate on drug policy issues at the national and international level.